Say goodbye to your ho-hum deck of the past—the one with nothing but a lonely grill in the corner. 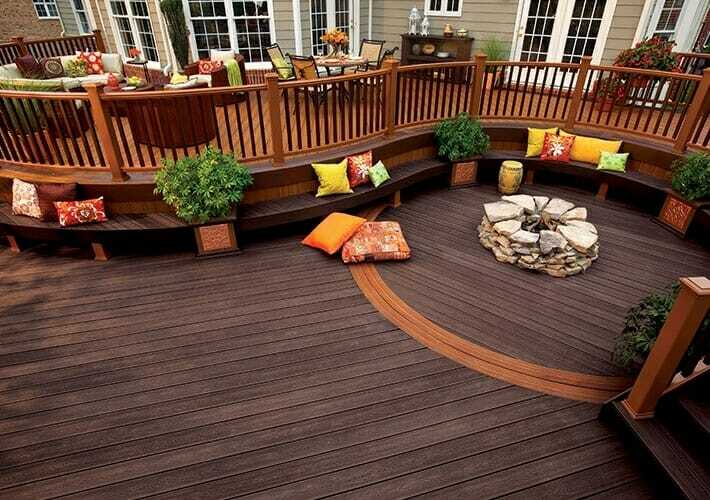 Because sure, everyone loves to cook out—but a deck should be more than just functional. It should reflect your personality and design taste. If you feel lost when it comes to dressing up your deck, you’re not alone! 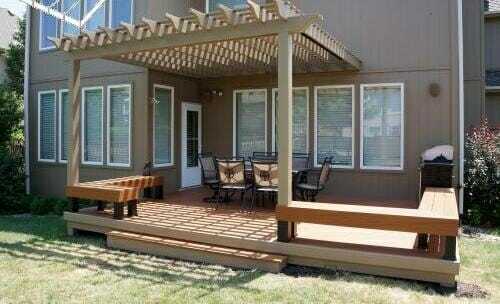 Here are ten ideas to help you take your make your deck the stylish outdoor sanctuary it should be. Let’s be honest, most deck furniture is about function over fashion—pieces that are chosen more for their ability to withstand the elements than for their beauty—but there’s no reason your deck furniture can’t be both. 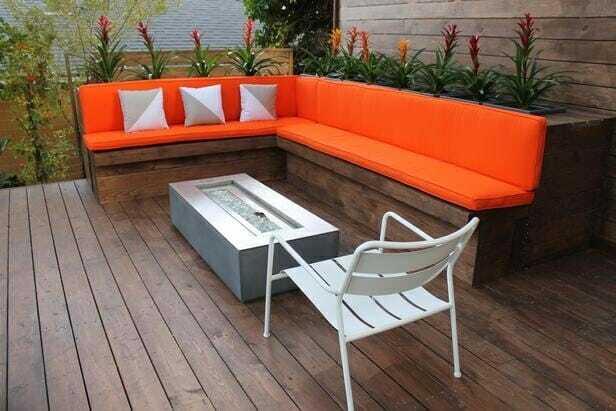 Even choosing one statement piece of furniture, like the pop of color in these orange bench cushions, can serve as a focal point for your deck, revamping your space from utilitarian to chic. Your deck isn’t going to turn into a pumpkin once the sun goes down—in fact, it serves double duty as a a spot to relax at night with a completely different ambience. 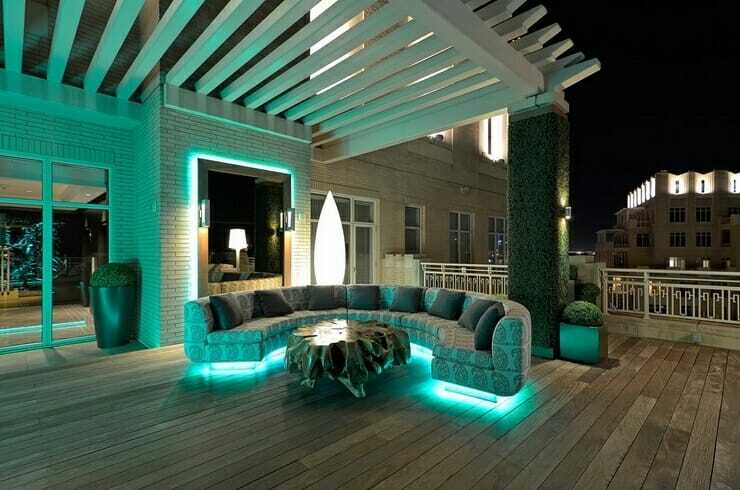 To get the most out of your outdoor oasis, install some soft mood lighting to create a romantic glow that mimics candlelight—perfect for an al fresco dinner-date. 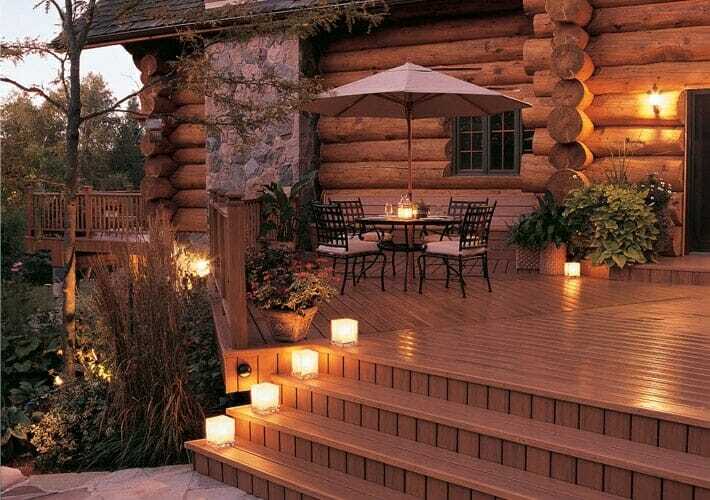 Or set the tone for a festive party—from simple ground lights to fairy lights on strings to solar lights, thoughtfully chosen lighting can give your deck an entirely new look by night. Fireplaces or fire pits are multi-functional, providing both warmth and aesthetic appeal. And a fire pit provides the perfect excuse to relive your summer camp days roasting marshmallows around the campfire. 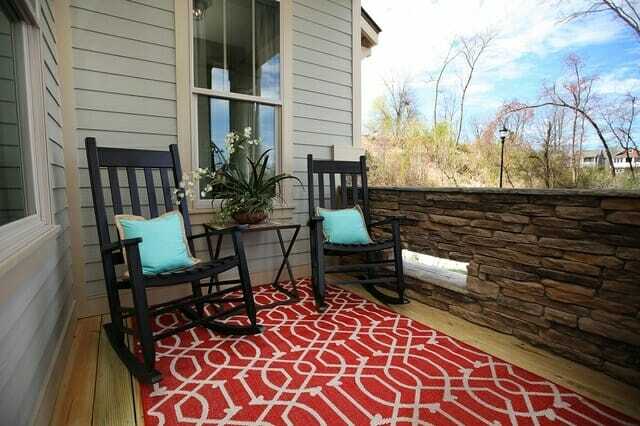 Rugs are an instant makeover element because of how eaily they infuse a room with a warm homeyness. 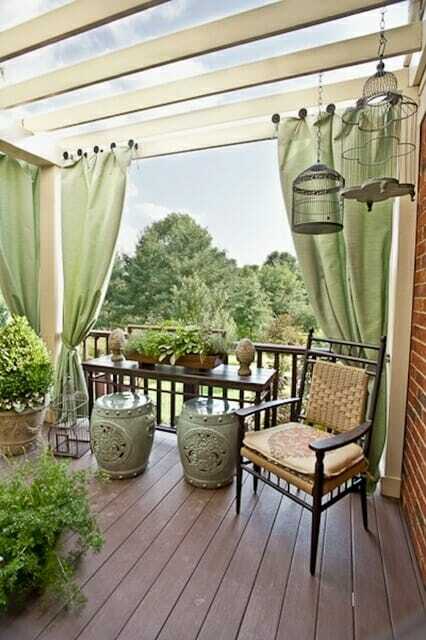 And while they’re most typically used indoors, why deny your deck such an eye-catching focal point? Indoor/outdoor rugs, designed to combat sun, precipitation, and mold, come in as many patterns and designs as traditional indoor rugs—and they’ll give your bare deck floor the colorful personality it craves. Pergolas have been used for centuries as covered garden walkways. A modern pergola provides both style and shade to a deck and can serve as a trellis for plants, a frame for curtains, or a space for hanging plants. 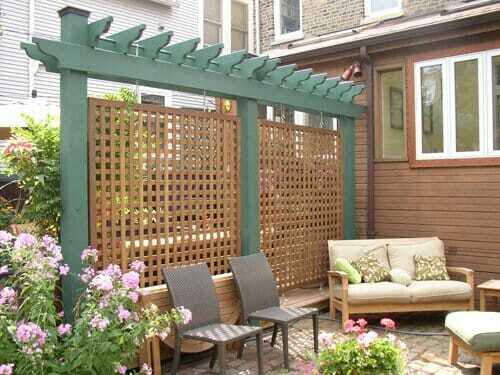 Putting up a latticework trellis can act as a faux wall and can provide some privacy in yards with nearby neighbors. Planting some creeping vines to grow over that lattice can both enhance the secret garden vibe and also serve as beautiful natural decoration. Your deck is the space where indoor and outdoor meet, so why not ease that transition visually by adding flower pots to your deck stairs? 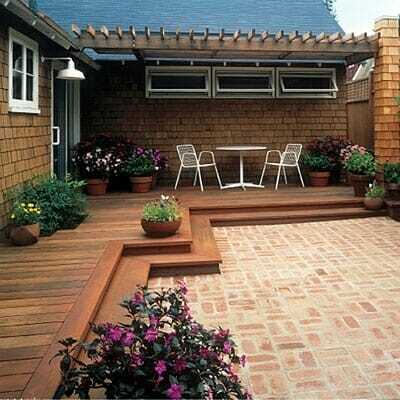 Use a combination of large and small pots in colors that suit the color scheme of your deck furniture and other décor. 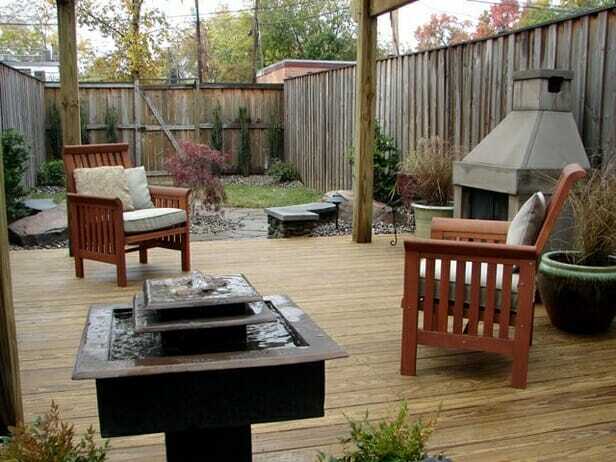 Swimming pools and hot tubs aren’t the only way to incorporate water into your outdoor space. Fountains and pools can bring the relaxing sounds of flowing water right to your deck. Whether it’s a hanging waterfall or a small fountain, adding a water feature to your outdoor living space can achieve that perfect blend between nature and modernity. Pergolas and curtains make a great team, but curtains also look fantastic when hung from the ceiling of a multi-level deck. Like rugs, curtains are one of those elements that effortlessly combine interior comfort with exterior style. Gazebos conjure images of summer weddings, beautiful parks, and of course, Liesel and Rolf from The Sound of Music dancing and singing. 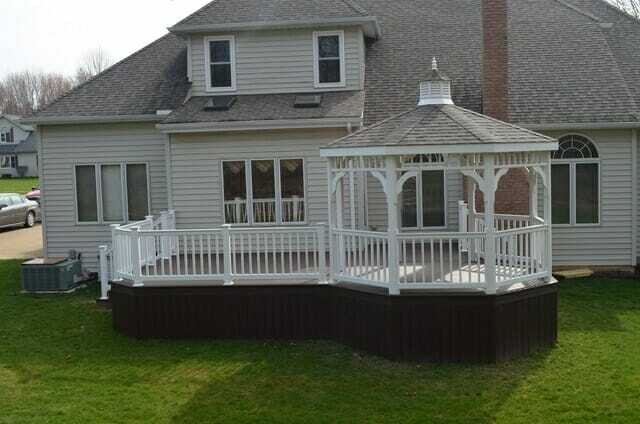 Incorporating a gazebo onto your deck is a great way to add some whimsy while also providing a covered area for outdoor seating or dining.